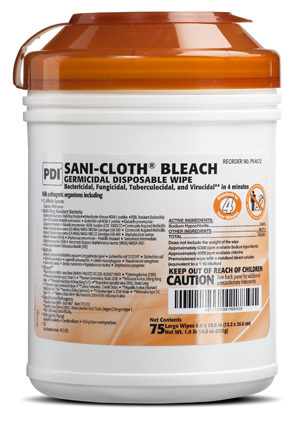 Ideal for disinfecting high risk areas endemic with Multidrug Resistant Organisms, Clostridium difficile spores and Norovirus. Disinfects in 4 minutes contact time, effective against MRSA, HIV, HBV, HCV. Bleach dilution formula of 1:10.